Tuscany ranks high on our dream vacation list. In fact, biking through Tuscany as a family is still a dream vacation of ours. In addition to the allure of Tuscany and its rolling hills, we also love the food. Which is why a Tuscany cooking vacation is on our dream list. Pair the food with regional wines and we’re in heaven. A Tuscany cooking vacation is an immersive experience – not only do you discover the foods of the region, but the regions themselves. You’ll likely stay in a quaint village with opportunities to visit nearby villages and farms. Thus, truly immersing yourself in the Tuscan lifestyle. Receiving hands-on instruction with top chefs, exploring the textures and flavors of local foods, learning how to make the perfect gnocchi, and getting a true sense of the culture that has defined Tuscan cuisine. Meeting others from around the world who share our interest in food, wine, and Tuscany! Touring the surrounding areas in search of the finest local flavors and freshest ingredients. Tuscany has some of the most fertile grazing lands for livestock, the ideal sun for growing fruits and vegetables, and world-renowned olive groves for some of the finest olive oils. We would be lying if we said we didn’t enjoy a nice bottle of wine every now and then. Cooking vacations also include instruction on food and wine pairing, with visits to local cellars. The Tuscan region is recognized as having some of the finest vineyards in the world. 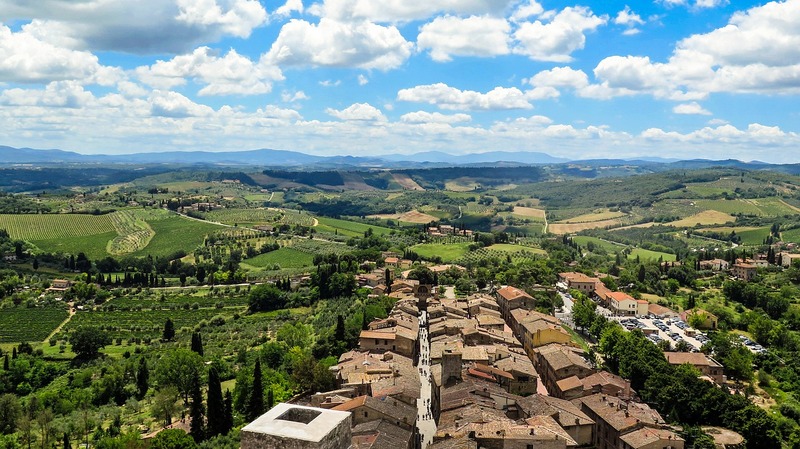 Verniccia di San Gimignano is considered one of Italy’s finest white wines and Brnello di Montalcino is considered one of the finest red wines. If you are interested in a cooking vacation to Tuscany, the Fall is a perfect time to go. Almost every village has its own fall harvest and food festivals abound in the region. The Tuscan sun glows a rich autumnal color and everyone is in a celebratory mood. You’ll also have a wonderful opportunity for souvenirs as local artisans and craftspeople show their wares at the food festivals. Chi Mangia Bene Vive Bene! — Those Who Eat Well, Live Well! For us, one of the things that makes a dream vacation successful is having reliable connectivity. 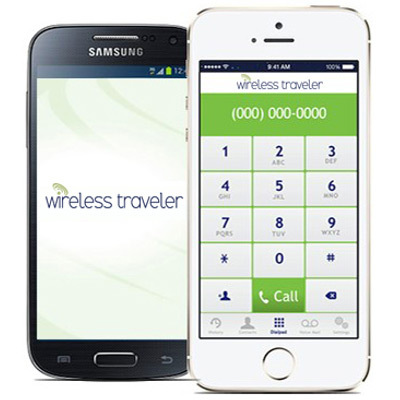 That’s why we like having the Wirelesstraveler App on each of our phones. We can stay in touch with each other for free, and can make calls home for as little as two cents per minute. We also travel with the Pocket WiFi hotspot, so that at the end of the day, we can send pictures back to family and friends and catch up on emails and social media – the kids love face timing with their grandparents! It ‘s not just us who love the app, but our clients traveling through Europe as well!